When you need help getting your house in pristine condition quickly, call on The Maids Columbus to come take care of your one-time house cleaning needs. Whether you’re hosting a dinner party for friends or your in-laws are coming to stay for a few days, you want your house to be in tip-top shape for your guests. With a hectic schedule, it can be hard to squeeze thorough house cleaning on your to-do list, which is why The Maids are here to do it for you. We are Columbus’s premier one-time house cleaning service that specializes in cleaning for your health. Our house cleaning systems, environmentally friendly products and extensive industry experience have given us the ability to make your house cleaner and healthier in a short amount of time. We provide a safer environment for you and your guests than any other residential cleaning service, delivering a noticeably healthy clean. Use our specially designed backpack vacuum with HEPA filtration to remove up to 99% of dust, dirt and allergens. Clean your kitchen with food-safe products to sanitize the countertops, appliances, cabinets and other surfaces you use regularly. Scrub your bathrooms to a shine, hitting all surfaces, including the sink, counter, tub, toilet, shower and floors. Dust and tidy living areas with a microfiber cloth and an eye for detail. From the top of your fridge to your lower baseboards, we promise fantastic results in a short amount of time. Your home will quickly be hostess-ready when The Maids are done with your one-time cleaning. When you need special occasion maid services, you expect a seriously thorough clean. Our 22-Step Healthy Touch Deep Cleaning System, along with our four-person cleaning teams, environmentally friendly cleaning products, state-of-the-art equipment and unique cleaning process provide an affordable line of one-time house cleaning services that cannot be matched anywhere else. We are simply the best in the residential cleaning industry. Whether you need us at the last minute or want to schedule your appointment ahead of time, we’ll work around your schedule to get the job done in time. Our staff is knowledgeable, professional and reliable, delivering the high-quality clean you expect. 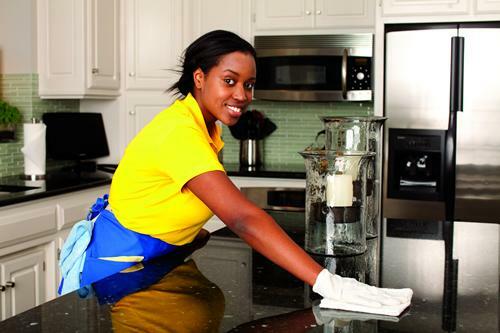 Don’t settle for a generic clean when The Maids will provide detailed and customizable periodic housekeeping services. Just tell us what you need and we’ll get it done for you. 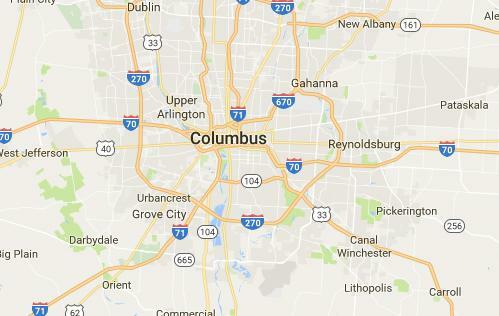 When you are in need of a maid service for a one-time or special occasion job, The Maids Columbus is the professional cleaner you can rely on to take care of your home. Call us today for your one-time house cleaning quote.